"To expose the false or exaggerated claims or the pretensions, or glamour of." We have put this little article up for the word "de-bunk" comes up a lot on many other paranormal websites. Also the word "de-bunker" shows up as well. 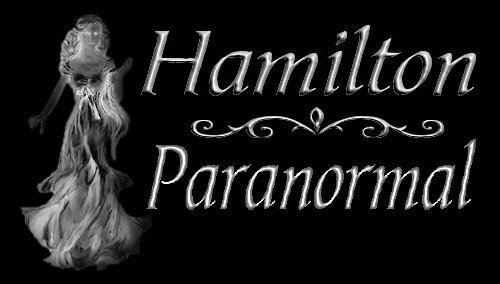 We know that many folks disagree with us, from what we present on our website as something paranormal to our photos that we display. I guess our website would be better if we only discussed ghost stories, as some websites that deal in the paranormal rely on this only??? Yet, if we were to do this we could still have the person that loves to "de-bunk" claim a ghost story was an over active imagination and we were only making the story up to "glamourize" our site. So what is a "de-bunker"? A "de-bunker" is a person that would rather "de-bunk" someone's picture or EVP or video clip they may have caught to do with the paranormal and present it as something out of the norm than to believe it might be real. A "de-bunker" is a person that does not believe in the existence of "ghosts" or "spirits". Yet there does exist a rule of thumb to the person that "de-bunks" others. If they get something unusual and unexplainable then it's real. It is so easy to "de-bunk" something that someone had caught on film or EVP or video clip. Yet if the "de-bunker" happens to capture anything on the above methods used they claim it as real. This is funny to a point, but what they may have got could be real, just like what you got could be real. Do not let others "de-bunk" what you caught on film, video cam or EVP for these folks that are so quick at "de-bunking" others were not with you at the time you had captured something that could not be explained. The "de-bunker" does not have to put in any effort to claim your pictures or experiences were not real. But challenge the "de-bunker" to accompany you to any given location and you will get a resounding NO! It's easy to be a "de-bunker" from the comfort and security of their own home. Only you know the area you were in and what you felt around the area so how can anyone "de-bunk" what you got if they weren't there to see or feel what you did? No one can be 100% sure as to what is in any given picture. There will always be those that will tell you it's only dust, pollen, water bubbles, light reflection, fog, smoke, mist from a river, stream or lake and the list goes on. If you are in doubt as to what you had captured on film or EVP etc: ask someone that you trust to give you an honest and respectful answer. To sum it all up, what is the point of de-bunking? What does the de-bunker gain? The answer is Absolutely Nothing! Have they gained respect? Have they proven that spirits don't exist? Have they done anything? Again the answer would have to be NO! We hope this has helped in some small way those that are interested in the world of the paranormal. The above is our OPINION ONLY!! !